Treat yourselves to a few hours of pampering at one of Melbourne’s elegant and relaxing spas. Many spas offer couple’s massages and can provide private rooms with hot tub, steam room and shower. You’ll find five fantastic wine growing regions within 90 minutes of Melbourne. Take a quick day trip and enjoy learning about the wine making process, tasting various wines and dining at fabulous cafes. One of the most romantic ways for Melbourne singles to dine is by sharing food from the same plate. You’ll find tapas and sushi restaurants all over Melbourne, such as the popular Japanese restaurant Verge which overlooks Treasury Gardens. For extraordinary Spanish tapas, try MoVida on Hosier Lane. Discover one of the many hidden haunts throughout the city such as The Night Cat or Tony Starr’s Kitten Club. Swingers and singles can visit the Royal Botanic Gardens and don’t forget your picnic basket. It will take a couple of hours to explore the entire gardens. Pack all your favorite munchies and beverages and enjoy an afternoon together in a beautiful setting. A vast network of scenic trails awaits you on the banks of the Yarra River. You might also consider hiring a bike or taking a scenic boat cruise. Consider enhancing your Melbourne dating experience by dining at one of the many fabulous seafood restaurants that line the waterfront. Whether you love to cook or just enjoy great food, make sure to experience creating a delicious dish together with Electrolux Cooking School at Queen Victoria Market. Take the “Art from the City Circle” tram ride, or walk through city streets, laneways, and squares and along the Yarra River to experience the city’s incredible public artworks. Check out one of the dozens of theatrical and musical performances happening around the city each and every week. One of the most romantic spots to watch the sun set in Melbourne is from St. Kilda Beach. 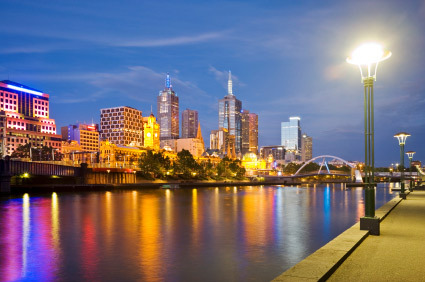 Melbourne swingers can wander along the beach and have a glass of wine on the pier. You can also get a great view of the sunset from one of the many beachfront restaurants and cafes. For a truly romantic Melbourne experience there is the Colonial Tramcar Restaurant. Enjoy fine cuisine luxury aboard this converted 1927 tram. The tram departs daily from & returns to Normanby Rd near the corner of Clarendon St South Melbourne. Bookings are essential.